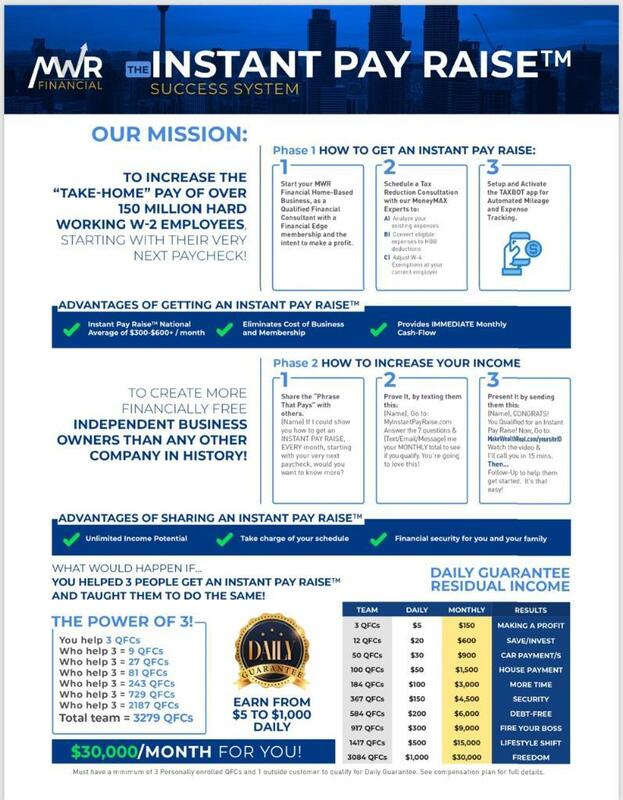 Get an INSTANT PAY RAISE on the money you’re already earning! $300 to $1000 in less than 30 days! Increase your credit score 50 to 150 points! Graduate from renting to home ownership. and if you have a monthly pay raise of $120 or more, your cost is covered, almost as if it’s free every month! Want to pocket that entire amount every month? Refer 3 others who get a membership, and yours is free! Complete Business Overview in 12 min.! To download the full compensation document and review a thorough compensation explanation video, go to the compensation page. Not sure if there’s a NEED for more income, emphasis on saving money, and better investment returns? This page will clear that up completely! Want to join us? Get back to the person who sent you here!